I have seen it over and over again, people, blogs and brands being very active on Social Media on weekdays – and turning utterly silent on social media on weekends. I am not sure whether this is due to their social media manager doing a 9 to 5 job and going home on Friday afternoon or if the idea behind this is that people are not that interested in “work-related” content on weekends. But they are both wrong. There are enough tools to help you to schedule your social media content on weekends even if your social media manager is totally unavailable on the weekends – or you could even go as far as letting someone else post on social media over the weekend. And what is even more important: there are some very good reasons to keep your social media accounts active even on weekends, holidays – or even when everybody is off for a long summer vacation. It might be a totally different crowd that will see and respond to your posts on social media over the weekend. But that could be a very good thing. Some people who do not have time or access to social media or cannot consume content during the week use the weekend to surf and discover content on the weekend. Even people who are interested in your posts as a side interest may find you rather more interesting on the weekend than while they are busy with their day job. People have more leisure time and are more willing to consume not only content but also buy your products. People may simply have more time to take a thorough look at products or search for what they need or want to buy. Weekend days may also provide people with a free mind that allows making decisions. But do not blindly expect to make more sales on a weekend. As always it is not that simple. Products bought on the weekend are not necessarily the same type of products people buy on a weekday. As our mind turns to more leisurely topics so does our buying behavior. Even if your social media posting on a weekday is strictly business, you may be able to show more personality in your posts on a weekend. This can also be a great inspiration for conversation. Why not share how you are spending your days away from your computer? And inspire more engagement by asking others what their plans for the weekend are? Local businesses can offer additional value to their audience by providing some insider tips for local activities and events. Or you use the weekend to recap some of what has happened during the week. Kind of giving new life to the information you shared during the week. You can, for instance, create a weekend roundup or summary of the week. Be creative – the weekend may be your one chance for a slightly off-standard post. 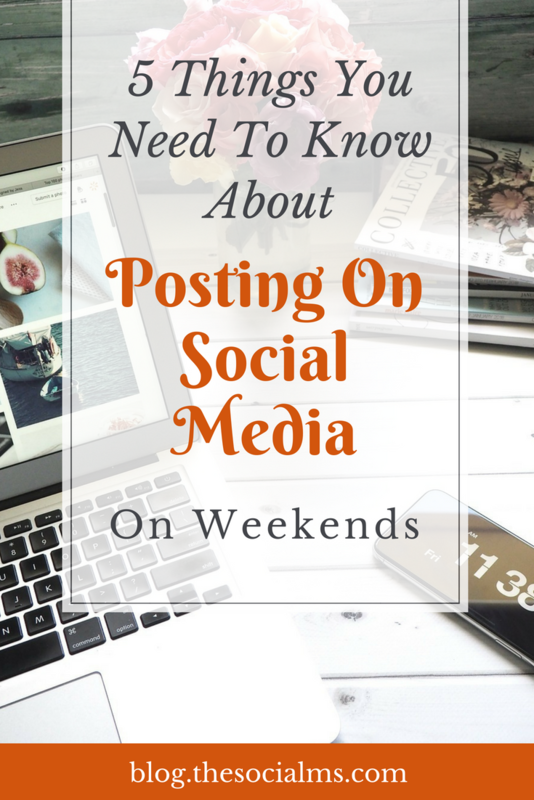 While often fewer people will view the posts that you post on social media on a weekend day than on a workday, this totally varies for various social networks and areas of interest. 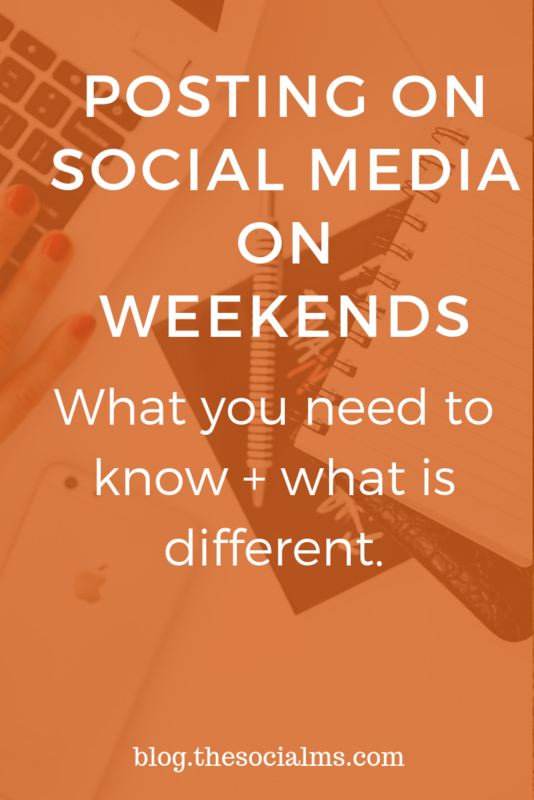 While according to a study by Sprout Social engagement on Facebook tends to be very low on weekends, on Twitter this looks totally different. Also for some niches, this looks totally different. People on Facebook seem to be rather responsive for health topics on weekends. On Instagram, consumer goods seem to be a rather hot weekend topic. If you want to see more data about social media engagement on various social networks and for different topics/niches, check out the study on Sprout Social! That also means that for your specific niche, topics, and audience it might be totally different than what statistics say. Plus, it all depends on WHAT you are going to post on the weekend. While a dry and purely informative post might not inspire very much engagement, a rather personal post or a discussion or food for thought-post can well inspire more engagement than your usual social media updates. Keep in mind that even your weekend posts should still be related to your overall topics and niche. In the end, you can only try and test what works for your audience on a weekend and what does not work at all. There is one more aspect of whether or not you should post on your (business) social media channels on weekends we have so far not touched. You will never earn less visibility for your social media channels than if you do not post. Even if a weekend post does not get you as much engagement, reach or conversions as a good post on a weekday it will still earn you more reach and visibility than not posting on weekends at all. 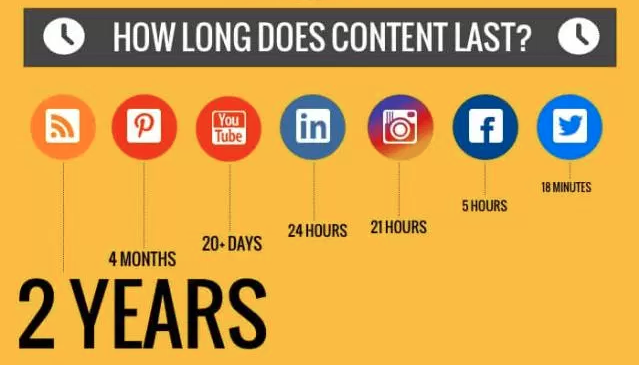 The lifespan of a post on any social network is fairly short. On Twitter, you are lucky if your tweet still gets you attention from your audience after 15min and even a Facebook post will slowly die after a couple of hours. 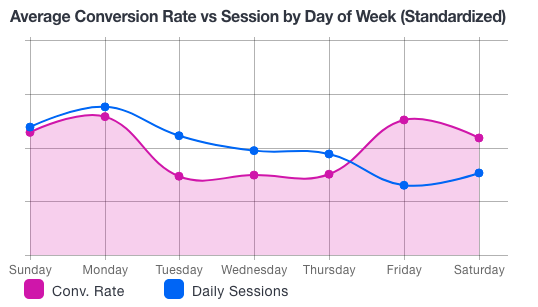 While engagement, reach and conversions may be lower on weekends than on a weekday, you still only have to gain if you do post on your social media channels over the weekend. Not posting is never the best option. While you may not want to choose the weekend for your most important updates that you spent ages on optimizing and testing, an update on a Saturday or Sunday will still add to your audience and help you to build your brand. If you are afraid that you have to „work“ on the weekend, you can use a scheduling tool to help you to post your update at the optimal time. Only comments and answers to questions will need some personal attention from your end – and nobody expects you to answer within minutes on a weekend. Whenever you have some leisure time, grab a coffee and check on Facebook or Twitter and hit reply – it could even be fun!